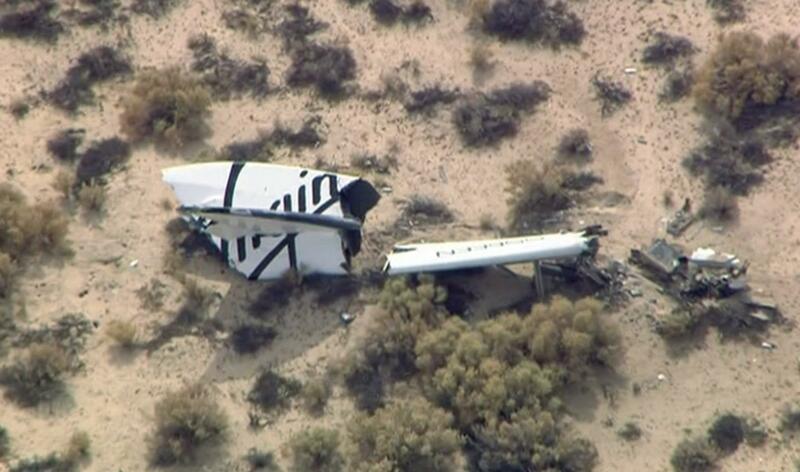 A Virgin Galactic SpaceShipTwo test flight suffered a 'serious anomaly' that led to one pilot being killed, and Virgin Galactic was reportedly warned on numerous occasions that this type of problem was possible. The company's "unconventional" fuel propulsion system to help the aircraft reach space broke apart while flying about 45,000-ft. above the Earth's surface - and a full investigation is currently under way. The use of the hybrid propulsion system doesn't rely on carbon-based fuels and instead uses a mix of nitrous oxide and plastic fuel, with rocket engineers and safety experts weary of potential explosions. In fact, the Virgin Galactic website reportedly noted nitrous oxide was "benign" and "stable," despite the gas playing a major role in a spaceport explosion that killed three people in 2007. "It's still very poorly understood in large quantities... the temperature of the fuel is critical," said Geoff Daly, a British rocket scientist, who warned the FAA last year. The delivery system is solid, the motor is bolted to the fuel tanks. There is no flexibility in the tank and motor, any vibration can result in the fracture and failure of the engine system."